List of NYX Gaming Group casinos with honest review including reputability check of every NYX Gaming Group online casino listed. NYX Interactive of Stockholm, Sweden was established in 2006. On the strategic side, the company is surely heading in the right direction, under the guidance of Mr. David Flynn, who was awarded “Swedish CEO of the Year” in 2013. In conjunction with NextGen and NYX Social, NYX Interactive is part of the fast-growing and award-winning (2013 EGR B2B Supplier of the Year) NYX Gaming Group. Since 2006, NYX Interactive has marketed their products around the world. However, they've had a particularly strong presence in their home nation of Sweden, where state-licensed Svenska Spel has used their software to power their games. Casinos using NYX software are licensed by authorities in the likes of the UK, Malta and Curacao, which means that they are strictly regulated. It is true that brands under this banner are meant to be more trustworthy, but also their games are required to be independently audited to ensure that they are random and fair. NYX Interactive casinos focus on delivering a wide selection of games that appeal to a wide variety of players. All of the games feature their own unique flair and easy-to-understand rules. Using the latest in software development technology (such as Flash, Java and HTML5), game developers from NYX are charged with developing fun and exciting online casino games, especially bingo, lottery products, scratch cards, but also a number of popular online games. NYX Interactive casinos understand that many players prefer the opportunity of selection. Some of NYX Interactive’s casinos are content with just one software platform, but in most of them you can find additional platforms adding to their listings. That’s why players at many NYX Interactive casinos can enjoy hundreds of games in one place. Providers that have teamed up with NYX Interactive include Playtech, Microgaming, and WagerWorks, amongst others. NYX Interactive's games can also be easily integrated with third-party software platforms at the casino owner's request. This means that the software platform comes with a flexible front-end and a back- office component, which offers all of the management tools a casino owner or manager could possibly want or need. The gaming results are determined by a random number generator (RNG) that has been designed to stand up to the testing and scrutiny of testing labs throughout the world. At this time there are more than 300 games being offered under the banner of the NYX Gaming Group, a really big number compared with majority of the competition. The software is available in instant-play mode with no download required (you will only need Adobe Flash installed), and when playing via mobile device is compatible with popular operating systems like iOS for Apple, as well as Blackberry and Android operating systems. NYX Interactive cooperates with casinos, but it doesn't dictate to them any strict promotional terms. That’s why different NYX Interactive casinos will use their own promotions. Although, on many of the websites of NYX casinos, you will still find similar types of bonuses. The most common are deposit match bonuses (particularly on first deposits), but others may include no deposit bonuses or wagering races. Since it differs from casino to casino, make sure to read the terms and conditions of each bonus to find out more. Among the most popular NYX slot machines, you’ll find both three-reel games and five-reel games. Popular titles include Tiki Treasure and Funland Festival. 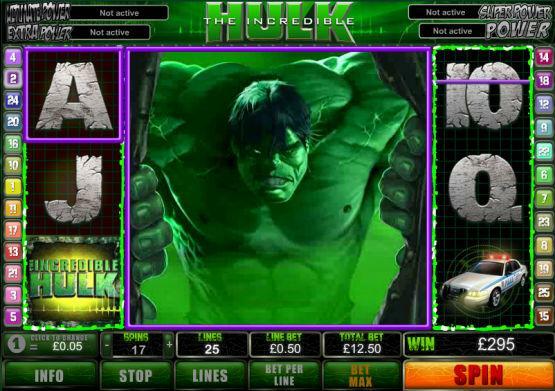 Slots enthusiasts have an excellent choice of branded and other blockbuster titles that include hits from Marvel and DC Warner Bros, such as The Hulk, Spiderman, and Captain America. Many games have been given the 3D touch to make the graphical elements even more appealing. NYX also offers a decent selection of bingo multi-player games that includes 75-ball bingo with multiple patterns and big bonuses, and 90-ball games featuring 3 ways to win. When it comes to progressive jackpots, NYX cannot boast the same big portfolio as some other industry giants, but there are still some nice slots with juicy progressive jackpots, such as Party Chicks Progressive, Tiki Treasure Progressive, RockStar Riches Progressive, and Progressive Beauty Salon . Trustworthy and high volume online casinos like Mr. Green, Cashmio Casino and many others are using NYX Interactive games to entertain their players across the globe. More information can be found on our website. With many games and flexible solutions, NYX Interactive is undoubtedly a fine online software provider. Their product platforms are diverse, and all their games are compatible with the majority of mobile devices. Alderney 26 Isle of Man 1 Malta 205 Gibraltar 94 Jersey 0 Kahnawake 1 Panama 0 Curaçao 131 Unknown 0 Belize 0 Costa Rica 0 United Kingdom 249 Austria 0 Canada 0 Antigua and Barbuda 0 Belgium 1 Bosnia and Herzegovina 0 British Virgin Islands 0 Bulgaria 0 Cambodia 0 Comoros 0 Cyprus 0 Czech Republic 0 Denmark 14 Estonia 2 Georgia 1 Ghana 0 Greece 0 Hungary 0 Ireland 0 Italy 3 Kenya 0 Latvia 1 Lithuania 0 Mexico 0 Netherlands Antiles 3 Nigeria 0 Paraguay 1 Peru 0 Philippines 0 Portugal 2 Romania 1 Serbia 0 Slovakia 0 Spain 1 Sweden 121 Aland Islands 1 Schleswig Holstein 2 British Columbia 0 Cagayan Economic Zone 0 Delaware 0 Nevada 0 New Jersey 4 Ontario 0 How we rate Licensing Jurisdictions?